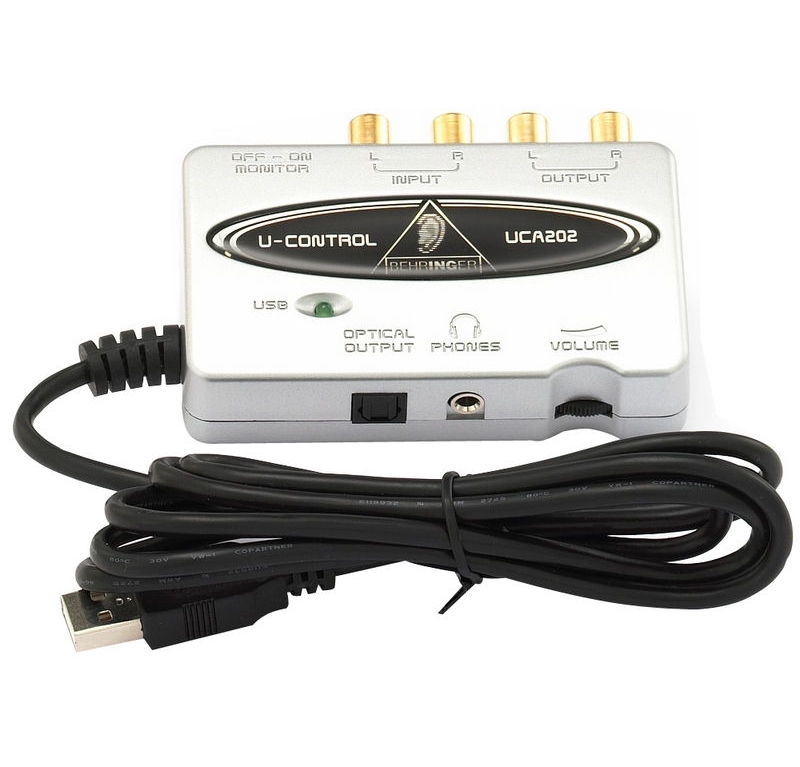 The UCA202 allows you to connect up to virtually any piece of audio equipment for either recording or playback on your PC or Mac computer. You can connect it to the RCA outputs on your stereo amplifier and record or stream music through your computer. You can also connect it to the input jacks of your audio mixer, and feed your music from your computer through the mixer. This USB-powered device provides two analog mono inputs and outputs (for monitoring), USB connectivity and an additional S/PDIF optical output for direct analog-to-digital conversion. The stereo headphone output features a dedicated level control and lets you listen to both the input and output. The UCA202 USB Audio Interface provides state-of-the-art digital conversion, world-class recording and editing software and hassle-free connectivity between your PC or Mac Computer and any piece of audio equipment. 2 analog RCA inputs and outputs. Additional S/PDIF optical output for direct digital conversion. High-resolution 48 kHz converters for high-end audio quality. Stereo headphone output with dedicated level control lets you monitor both input and output. For further information, please refer to the product manual. Highly recommended for use with WavePad Audio Editing Software and MixPad Audio Mixing Software.